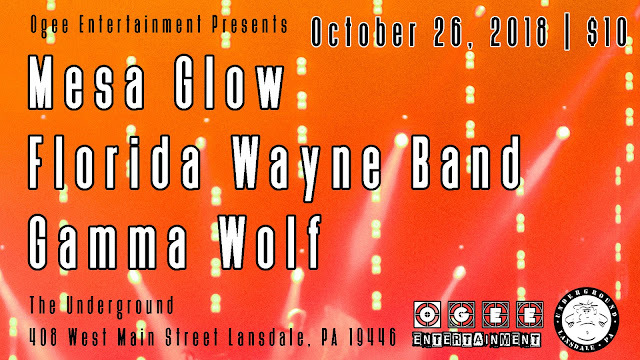 LANSDALE, PA> On October 26, 2018, The Underground will experience some great talent from down south, (like Chester County south...). 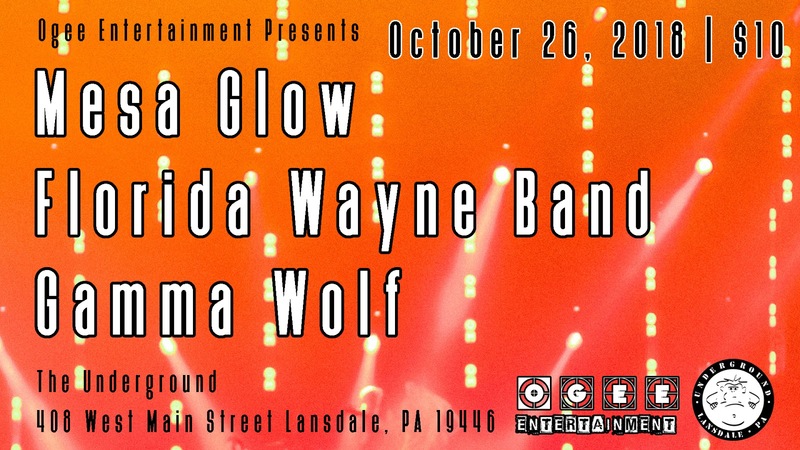 Phoenixville favorite trios Gamma Wolf and the Florida Wayne Band are ready to rock Lansdale with sweet rock and pop tunes with unforgettable energy. Recently added local favorite, Mesa Glow, will be opening the night and getting the crowd in tune for a one of a kind evening. So get ready for sweet melodies, rhythmic guitar and show stopping energy! The Underground is located at 408 West Main Street Lansdale, PA 19446, directly beneath Backyard Beans. Entrance is located in the read of the building. This show is presented by Ogee Entertainment, tickets cost $10 and are available online. Doors open at 8PM.